Capturing life in color and texture, and making it glow! Painted on a rainy late summer morning, feeling inspired by love, and life; I started this piece thinking about lush green forests, and new life, and finished it thinking about space travel, and contemplating the future of humankind, and how vast our potential is, viewed from the perspective of how much we do not yet know. It is a piece I find myself hoping communicates some sense of how each moment is potentially the seed of some future greatness, and how precious our uncertainty is on our path of discovery. The basic image is of a gravid woman surrounded by whirling motes of dust, imagination, atomic particles, or… really…anything. 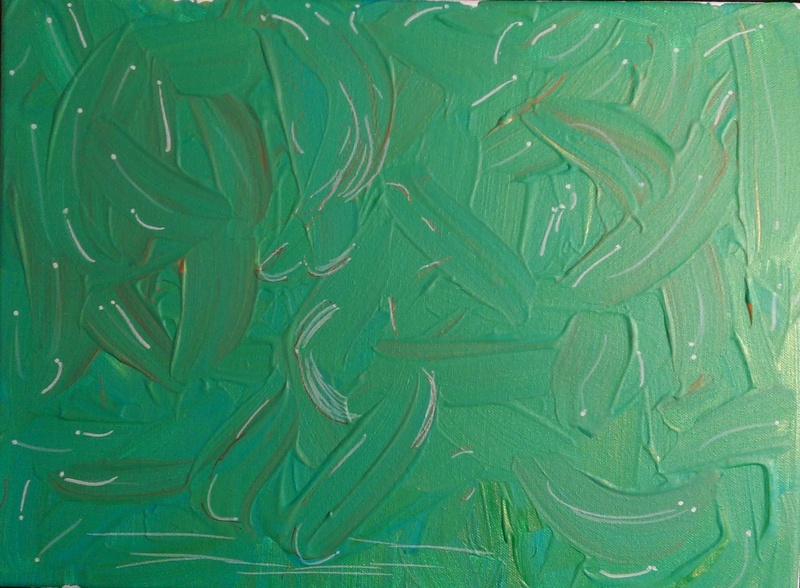 This smallish piece, at just 11″ x 14″, is the first painting on canvas created in my new studio space. 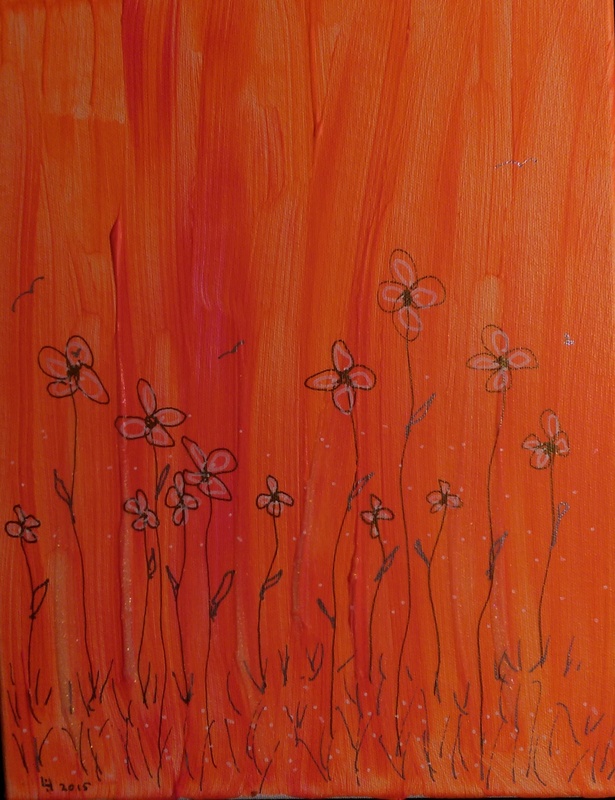 Painting from the perspective of feeling inspired and in love, it is a recollection of those sun-infused summer evenings when the orange glow of sunset seems to fill all the space between things. This painting is in a style I have recently favored, with an acrylic background on which a more delicate image in pen & ink is drawn. I used a gold leaf pen to add warmth to the details, and a bit of glow to give the impression of fireflies and hints of natural phosphorescence that I remember from childhood.